RGX-104 is a small-molecule LXR agonist that modulates innate immunity via transcriptional activation of the ApoE gene. 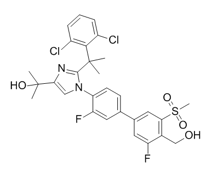 BMS-779788 is a LXR partial agonist with IC50 values of 68 nM for LXRα and 14 nM for LXRβ. BMS-852927 is an LXRβ-selective agonist. 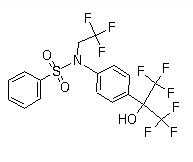 AZ876 is a novel high-affinity LXR agonist. AZ876 was 25-fold and 2.5-fold more potent than GW3965 (HY-10627) on human (h)LXRα and hLXRβ respectively. SR9243 is a liver-X-receptor (LXR) inverse agonist that induces LXR-corepressor interaction. 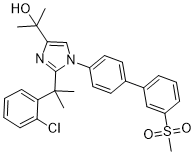 WAY-252623 (LXR-623) is a highly selective and orally bioavailable synthetic modulator of LXR. A tissue selective liver X receptor (LXR) agonist. GW3965 is a liver X receptor full agonist on hLXRα and hLXRβ.